I graduated high school with a low 2.3 grade point average (GPA). This was good enough to get me into the Air Force, but it sure as hell wasn’t getting me into med school. I did this by going to Junior College. Junior college, community college, whatever you want to call it… is the perfect place to go and start over. All of the good universities have transfer programs that allow you to start school as a junior. Their applications require the GPA from your last 60 credits (two years) of school. They do not even ask about high school. With a junior college GPA of 3.7, military experience, and community involvement, I was able to apply to the top universities in California and was accepted into two out of three. Maybe you’re thinking – ok Casey you must be some kind of smarty pants that goofed off in high school but easily caught up in college. The only difference between me in high school and me in Junior College was the military. Something about military life kept me focused and motivated. I had less distraction in the military and worked harder to achieve my goals. My supervisors pushed me to go to school and I took it seriously. 1. Choose a degree that you are passionate about. Do not go for an electrical engineering degree because you heard the money is good. Do it because you’re curious about it and are truly interested. If you are unsure of the degree you want, go with this: are you good at writing or math. Most degrees can be divided into one of those two broad categories. Stick to the one you are good at. 2. Find universities that are good for the degree you want to pursue. 3. 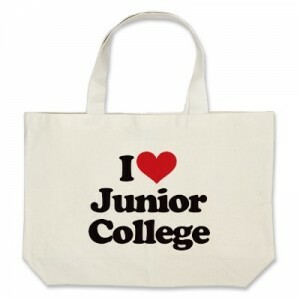 Go to the junior college you are interested in and make sure their credits transfer to the colleges you like. Many junior colleges are part of a state system that ensures credits transfer to major universities. It is best to attend a junior college that falls within one of these programs. For California this system is called IGETC. Please email me if you have any questions! Stay focused on your dream and it will come true. It’s not too late to start over. This is just what I needed to read today.. Thanks for the encouragement in your post.